Just finished another game visualization project, graphs of stats for the top 5000 BF4 players. It makes scatterplots for the player population of statistics like skill score vs time played, win/loss ratio vs. skill, and kill/death vs. win/loss. Lots of details in this Reddit post. 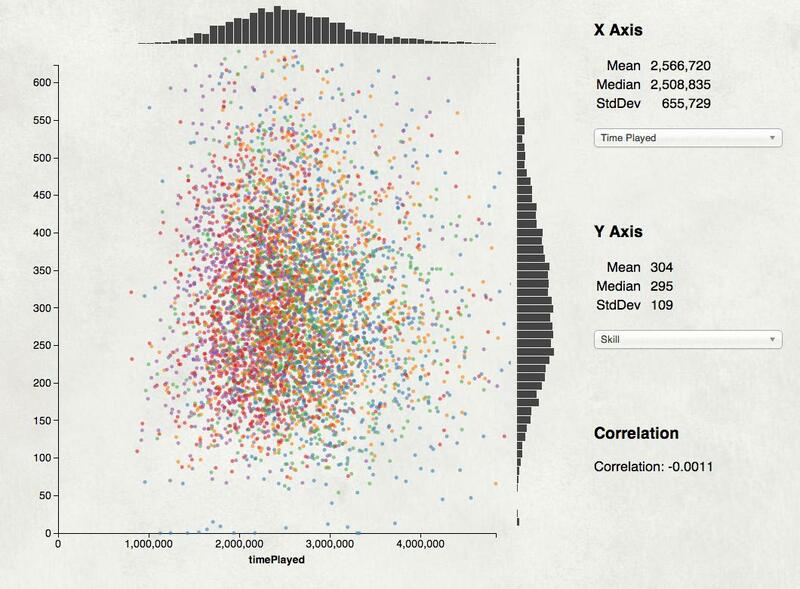 Another fun D3 project; scrape a bunch of data, cook it into a 2 megabyte CSV file, then do custom visualizations. 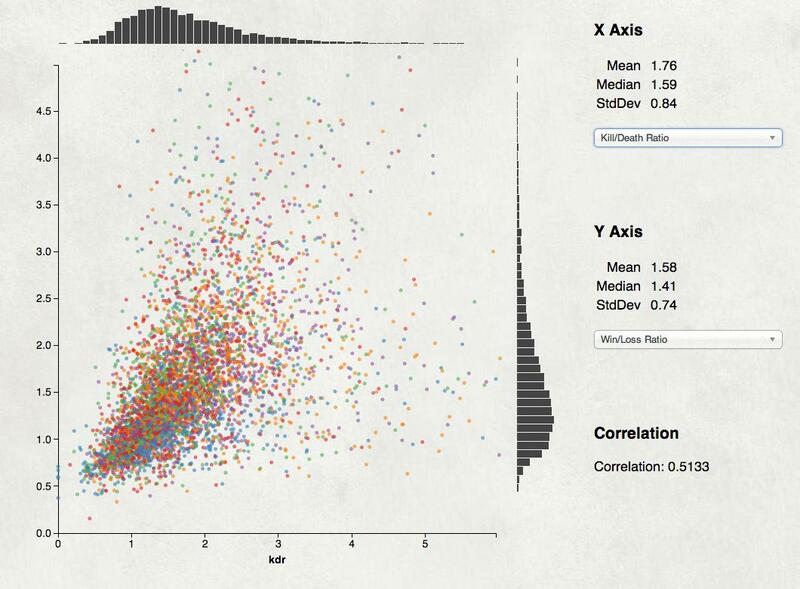 I like the way the scatterplot came out and may re-mix it as a generic data exploration tool, a sort of GGobi lite in your web browser. 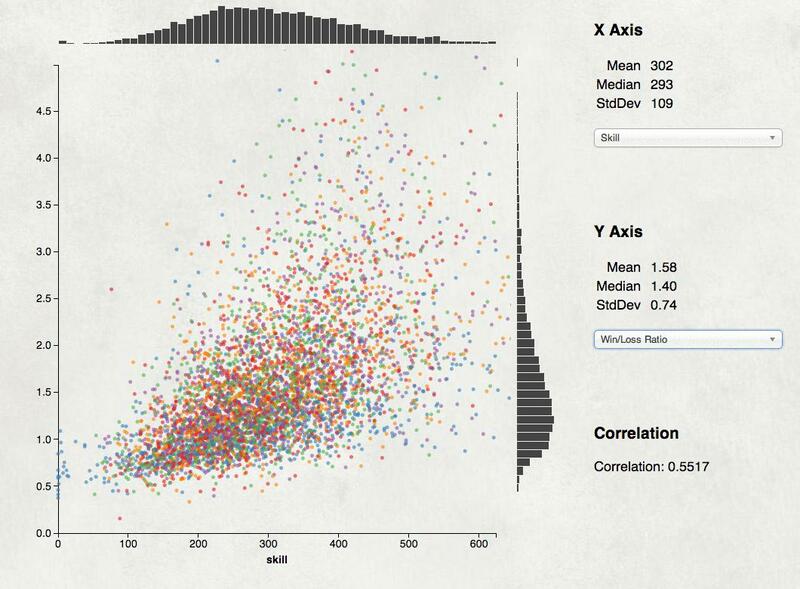 Drop a CSV file into your browser window and get a simple tool for exploring it for correlations. It’s frustrating trying to get attention for projects like this. All I know to do is post it to the relevant subreddit and hope for the up-votes, but that’s pretty random. My Reddit attempt for the LoL lag tool failed, and a site I worked about 50 hours on has had a total of a few hundred visitors after a week. Discouraging.